We are fortunate in Hunterdon County to have some of the finest running routes available to runners anywhere. While we keep our Saturday location constant we move the Sunday runs around the local area to take advantage of some excellent routes. 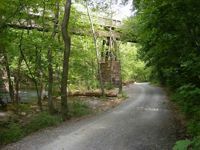 The Columbia Trail, a rails to trail which begins in High Bridge, is one our favorites. It has over 15 miles of groomed trails extending from High Bridge past Long Valley. It is virtually all in shade as it follows the meanderings of the South Branch of the Raritan River. 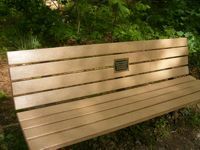 Along the trail we have placed a memorial bench dedicated to John Fischer, an ironman member of our club taken too early in life. Just below the trail is the Ken Lockwood Gorge which offers some beautiful trail running, rough in spots, right along the river. 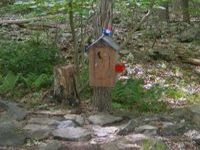 In addition to great scenery there is also some whimsy as careful observers can spot the abodes of gnomes and possibly a dinosaur! If you have a route you'd like to have listed send it to Webmaster@HRHNJ.org. Newest routes are highlighted with a background color. Rolling hills and open spaces south of Flemington. A scenic route through Bloomsbury, Holland, and Greenwich townships with a challenging hill. Park at Ed Tuxhorn Municipal Park on Church Street. You know that imposing wall of rock you see across the river? There's running in them thar hills! 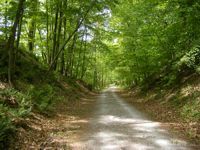 This route heads up one of the steepest roads around, then it's rolling hills, rocky woods and gorgeous scenery. Plus, there's a couple options for anyone looking for a shorter run. Another scenic jaunt into PA starting in Tinicum Park. Hills, winding roads, woods and some beautiful open vistas. Also with options for shorter loops. Over the river, then up a fairly challenging hill towards Ringing Rocks Park. More woods, rocks, and rolling hills, and easily modified for those looking for a shorter or longer run. This is the club's regular Saturday run (except winter months.) 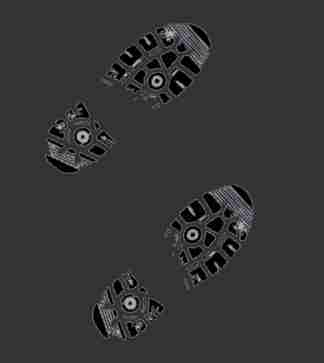 10 miles is the norm, easily modified for shorter or longer distances. Moderate hills, scenic. Scenic with lots of steep hills on Beaver, eight is enough for most on this route. A scenic run along the Black River with a few miles of gravel roads thrown in. 10.7 full, with a shorter 5.6 option. Out and back on groomed trails. Start from the High Bridge Borough's Commons Park. Park at the Cushetunk Mountain parking lot and lots of route options from there, both road and trail. Same parking as above, but 15 miles 'round Round Valley and o'er Stanton Mountain. One of the prettiest runs in Bucks County. Start at the parking lot at the Bulls Island Recreation Area in Raven Rock, NJ. This is the club's regular Saturday run in winter months. Rolling hills, some just roll a little more than others. Terrain is mostly paved road with a small section of dirt. Meet at the pool parking lot on Wellington Ave at 5:20am for a prompt 5:30am start. Please email president@hrhnj.org if you are new and plan to attend. A great loop around the roads of Kingwood Township, down Upper Creek Rd to the covered bridge on CR 604, then up the steep Pine Hill Rd. Starting in Milford, the first few flat miles along the river lull you into a false sense of complacency, then a nice big up, up, up eventually followed by the welcome down, down, down. Unfortunately, the Ship Inn doesn't open until noon, so if you want a beer afterwards you'll probably have to bring your own. A nice route along some of the back roads of Flemington, and some HILLS. Very scenic and hilly miles through historic Tewksbury with other variations possible. Park at the Tewksbury Historical Society. Go under a few tunnels & run by Pohatcong Creek. A few hills also. There is parking in the municipal lot, opposite the post office just east of the intersection and light at Rte 523 and Rte 604 (Lambert Road). Relax at the General Store after. Training for a hilly marathon? Put this one on your calendar. While it's not quite as high as Stanton Mountain Rd, it's scenic and has more than its fair share of ups and downs. Start at the boat ramp parking lot, then up a pretty good hill, down too. This run starts from outside the Park. Some of us have been doing this on Christmas morning each year. 10 miles, starting from the church parking lot on Stanton Mt Rd. Recover at General Store after. Start at the Prallsville Mill, run the towpath for 3...then up...then down. Scenic and hilly miles circling Black River, Oldwick, and Rockaway with shorter options. We start at the Whittemore Wildlife Sanctuary parking lot on the N. side of Rockaway, just off 523. Nice trail running options, weather permitting, see trail route below. This section is dedicated to trails. If you have a trail that you'd like to share, let us know. Miles and miles of well marked trails, some over rugged terrain. Connects with the Patriot Path. Historic...George Washington (and his army) slept there. 6.5 miles total to circumnavigate the reservoir. Wide trails until the NE section which is rocky and challenging. Lots of Snow Geese (150,000!) in the winter. Nicely groomed trails, hills, creek crossings, about 2 miles running the outer trails, and you can add some more mileage running the inner trails and the field north of the park. Parking lot N. Side of Rockaway Road.